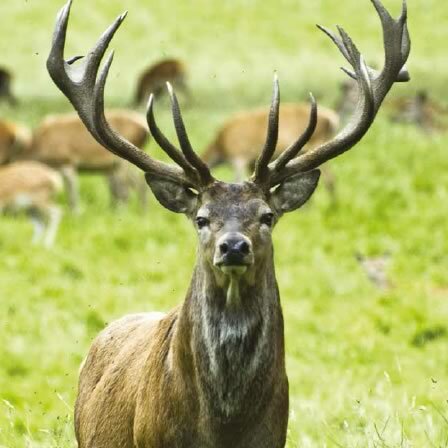 Red Deer are the largest of the six breeds of British deer, with male stags weighing as much as 240 kg (37 stone). The stag or hart is a noble beast, best remembered for appearing out of the mist on cold Scottish mountainsides. Red Deer are found in cave art dating back some 40,000 years showing their spiritual significance to many ancient tribes and the position they held as the most prestigious of hunting quarry. On average, Red Deer hinds give birth to two females for every one male. The males are born with spots, which they then lose, as they grow older.